Wet to moderate moisture. 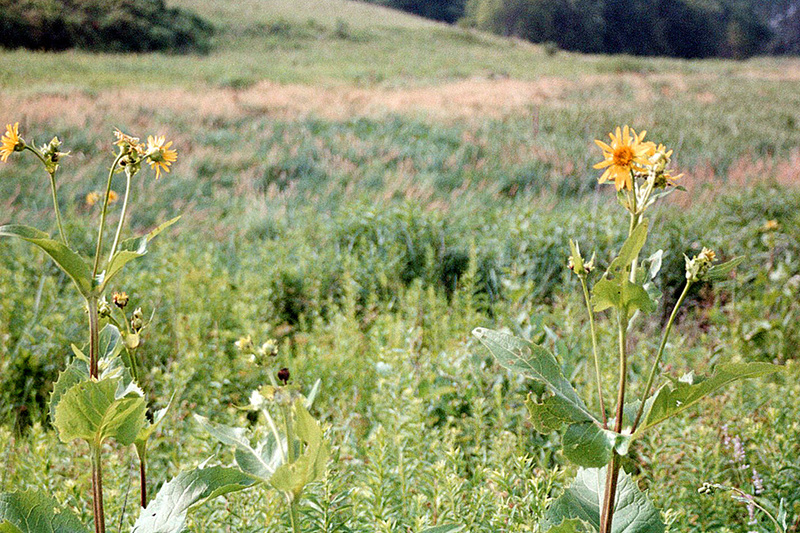 Prairies, meadows, fens, woodland edges, streambanks, and ditches. Full or partial sun. This is an erect, perennial forb that rises on usually a cluster of several stems, sometimes a single stem, from a central taproot; numerous shallow, spreading rhizomes; and fibrous roots. It can be 2½′ to 10′ in height, but is usually no more than 8′ tall. It sometimes forms colonies. 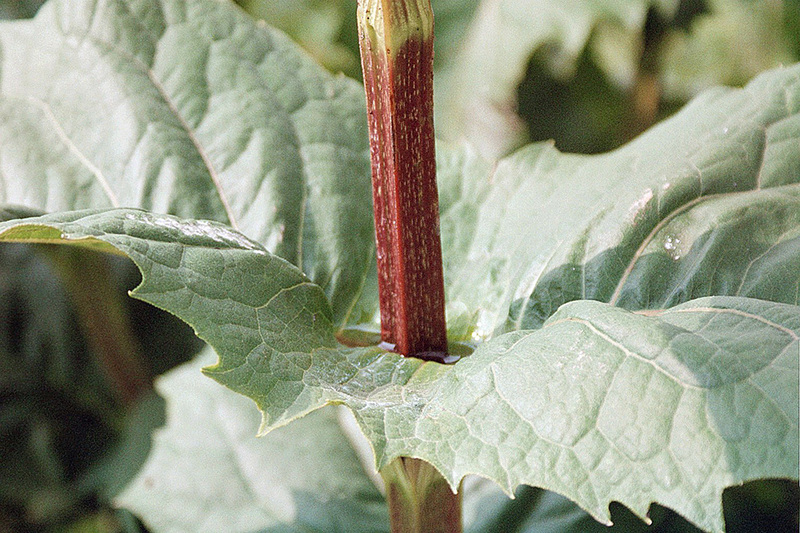 The stems are erect, stout, square in cross section, unbranched below the inflorescence, and usually hairless. They are often shiny with a varnished appearance. They are occasionally slightly covered with a whitish, waxy coating (glaucous). They are green at first, often becoming reddish as the season progresses. Basal leaves are egg-shaped to triangular egg-shaped or lance-shaped, unlobed, long-stalked, 4″ to 12″ long, and up to 9½″ wide. They are rough to the touch and thick but not leathery or only slightly leathery. 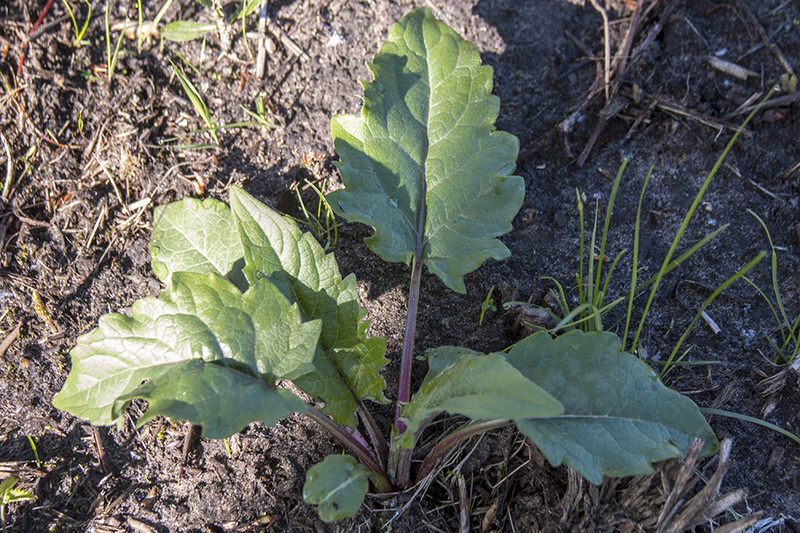 The leaf stalk is often expanded at the base into an ear-like lobe that wraps around the stem. The leaf blade is tapered or angled at the base and tapers to a sharp point at the tip. The margins are coarsely toothed. 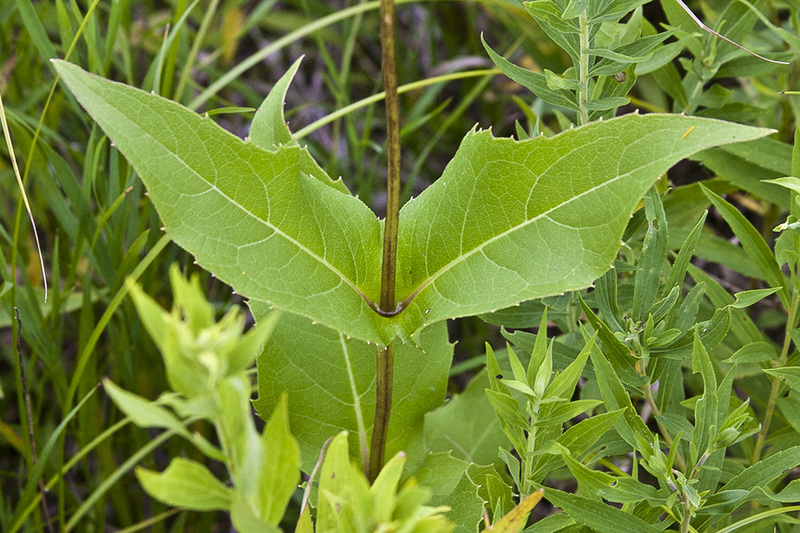 Stem leaves are opposite, 1¼″ to 13¾″ long, and ¼″ to 9½″ wide. The bases of opposite leaves are fused together at the base (perfoliate) to form a cup that holds water. 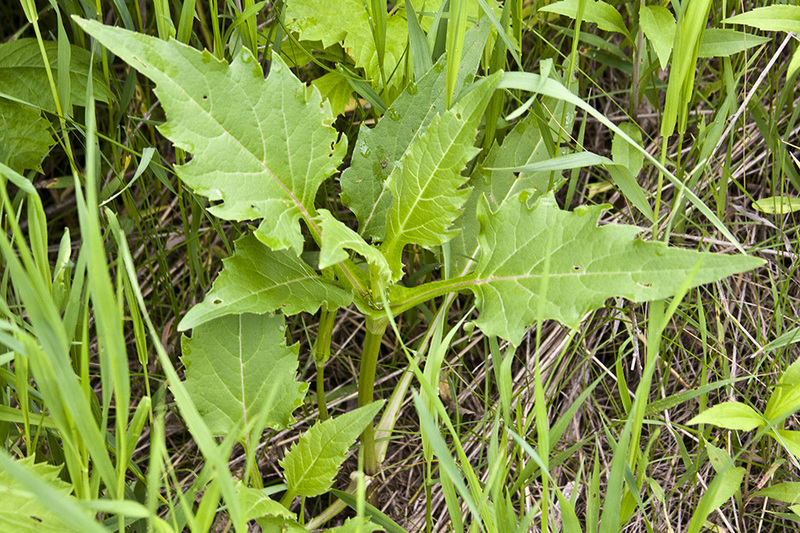 Stem leaves are otherwise similar to basal leaves. They become progressively smaller as they ascend the stem from near the midpoint. Basal and lower stem leaves are withered or absent at flowering time. The inflorescence is a loose, open, branched cluster (panicle) of several flower heads at the end of the stem. The flower heads may be long- or short-stalked or unstalked. 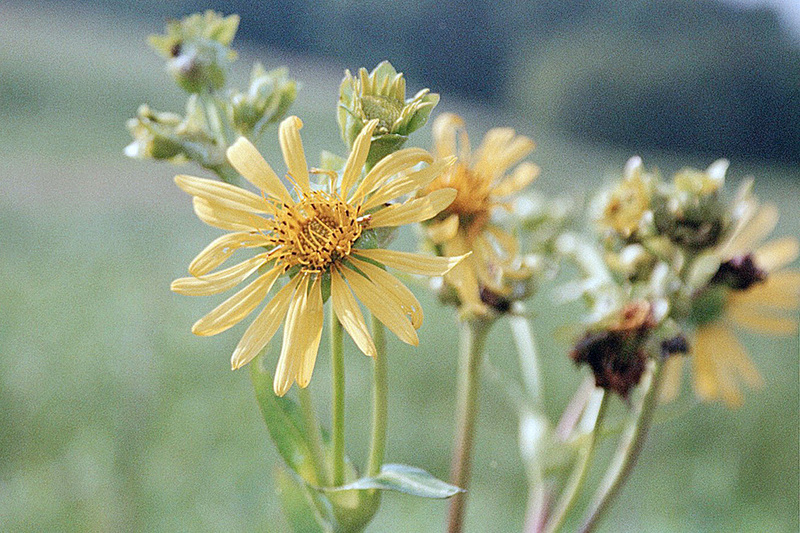 The flower heads are 1¾″ to 2¾″ in diameter. The whorl of modified leaves (bracts) at the base of the flower head (involucre) is bell-shaped to hemispheric and ½″ to 1″ long. It is composed of 25 to 37 bracts (phyllaries) in 2 or 3 overlapping series. The phyllaries are elliptic to broadly egg-shaped, pointed at the tip, usually hairless, and ½″ to 11 ⁄16″ long. The outer series is tightly appressed. There are 17 to 35 ray florets and 85 to 150 or more disk florets. The ray florets are yellow and ⅝″ to 19 ⁄16″ long. The disk florets are yellow. The fruit is a dry, one-seeded seed capsule (cypsela). The cypsela is black to brown, egg-shaped, flattened, 5 ⁄16″ to ½″ long, and 3 ⁄16″ to ⅜″ wide. It is broadly winged and has a deep notch at the tip. There is no tuft of hairs attached to the end. 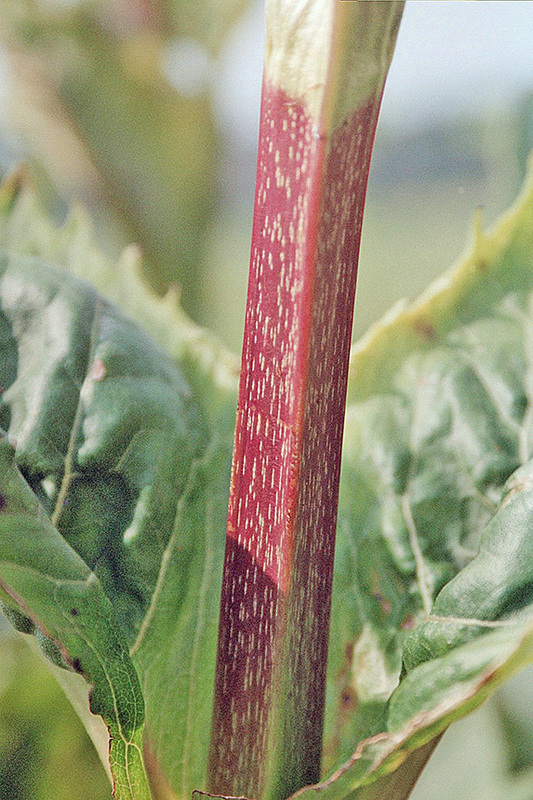 A leaf having margins that entirely surround the stem, giving the appearance that the stem is growing through the leaf. 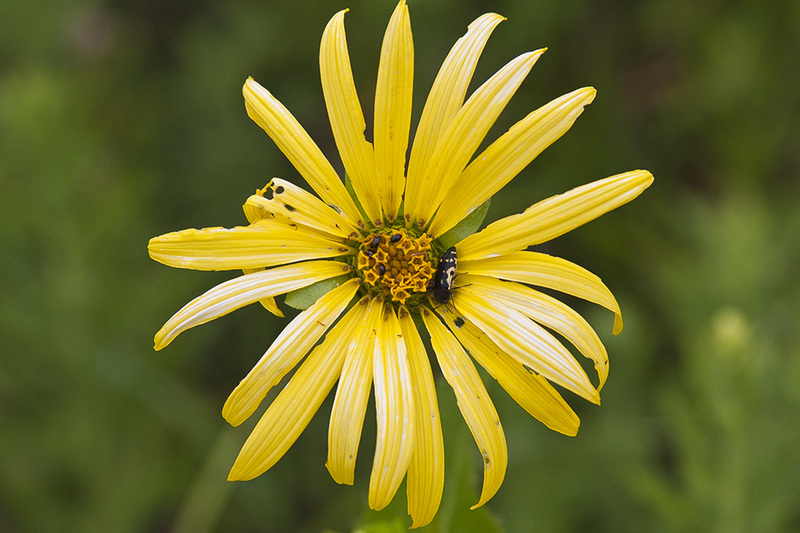 Todays plant is the Cup Plant (Silphium Perfoliatum var. 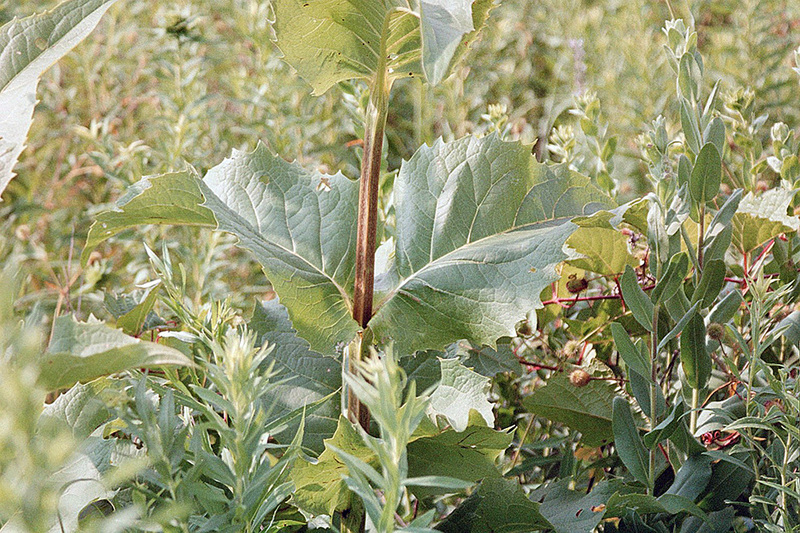 Perfoliatum). A beautiful plant to have near a pond!